After two entries dealing with futuristic what-if scenarios, Blue Byte’s city building series returns to a historical setting, diving straight into the heart of the Industrial Age. 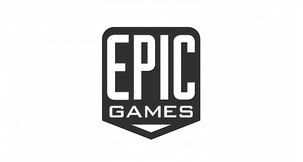 With a refreshed focus on its sandbox gameplay, at the cost of dropping handcrafted scenarios, it regains some of its lost complexity, while marrying engrossing city building with enough opportunities to take a step back and just watch life in your cities unfold. Anno 1800’s campaign is very much still a prolonged tutorial and shorter than that of previous entries. It comes with added cinematic flair, though. Cutscenes pan over beautiful locales during dialogue sequences while chapters playing out on the same map transition seamlessly from one to the next. While the narrative does try to introduce a number of twists, as you work towards continuing your father’s legacy through building a new company, neither it nor its cast of characters stand out in any way. And, while it helps with grasping a number of mechanics, you’ll still be left with plenty to learn or figure out once it’s over; which isn’t necessarily bad, since you can continue expanding your city as the campaign shifts to a sandbox game. 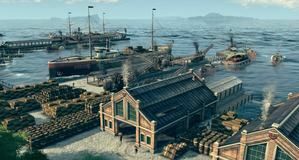 Although it explores a fresh historical period for the series, Anno 1800 will feel instantly familiar to fans. The strong focus on production chains returns as do different population tiers, each with their own set of needs. Where farmers are happy with a steady supply of fish and schnapps, engineers won’t do without glasses, coffee and electricity. Buildings require workforce from specific tiers, resulting in a need to maintain a balanced number of population types in your cities, based on the purpose they fulfill. You’ll also need to keep an eye on how you handle growth. More jobs require more people which require more resources. It’s a balancing act you have to approach carefully as your cities stretch across islands. While production buildings send carts to deliver and pick up wares by themselves, warehouses now have limited loading bays. Have one warehouse servicing too many buildings and you’ll end up jamming your resource flow. 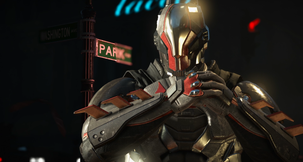 You upgrade citizen houses manually, provided that their needs are met, and unlocking new tiers comes with new challenges. The more sophisticated your people get, the trickier it becomes to obtain resources or handle more complex production chains in order to craft necessary goods. After all, making glasses or penny-farthings isn’t as straightforward as sawing wood or fishing. Islands still come with specific fertilities and resource types, encouraging expansion. Into the mid-game, you’ll have to move resources between your Old World cities and South American colonies in order to maintain needs fulfilled. Everyone loves rum but sugar cane doesn’t grow on European soil. On the flipside, you’ll be hard pressed to find iron in South America. Where in the past loading screens would make transitioning between areas cumbersome, Anno 1800 does so instantly. Keeping true to the series’ habits, trade and charter routes play a vital role in your economy. In order to trade with AI, you’ll need to stay in their good graces. This is subject to a rather light diplomacy system, which gives access to a handful of social options such as gifting or flattery, as well as the odd random opinion shift. 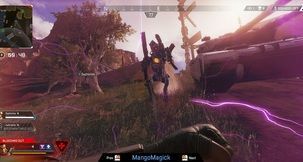 Luckily, quests issued by or requested from the AI are reliable ways of getting them to like you more; provided they don’t bug out as you turn them in or involve finding small character models in busy areas. 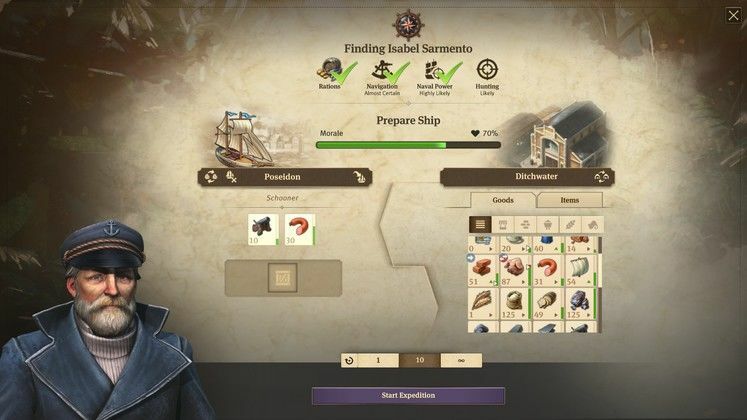 The newspaper is one of Anno 1800’s new additions, periodically reporting on your actions and progress. The included events can be edited beforehand, news granting your city slight buffs or debuffs. Although being truthful might earn you praise from others, there are times when focusing on something other than your failures also comes in handy. Players can also send ships on expeditions to the New World. After equipping them with supplies for the long journey ahead, you have to keep an eye on notifications requiring your input. These play out in text-based, choose your own adventure-style events where you’re given a choice between several actions. Expeditions reward resources, items or specialists which boost buildings’ capabilities and, generally speaking, are a good enough read. Sending ships out there without proper equipment or low morale can result in having to pull them back before they can obtain anything. Combat, exclusively naval this time around, falls on the simplistic side, avoiding being a nuisance but also failing to consistently engage. 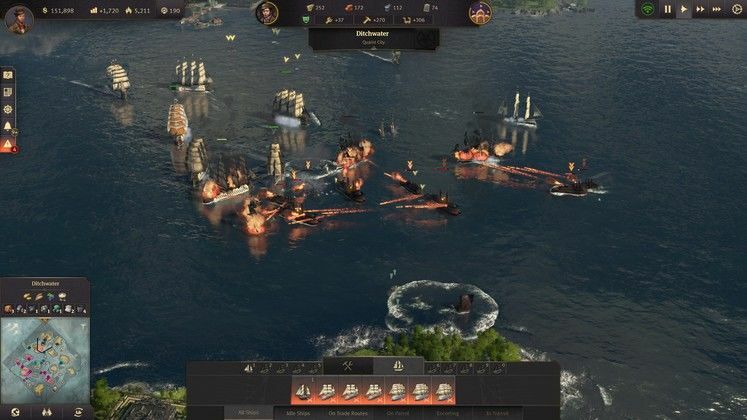 Battles have never been a strong point of the series and those in Anno 1800 are nothing more than an occasional distraction from long bouts of building, regardless if you’re sinking target ships or taking over an island by wiping out its defenses. 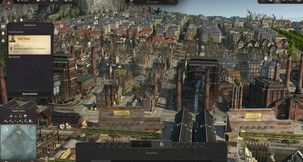 Anno 1800 embraces accessibility by letting players choose the level of guidance, as well as lenient or harder starts in both campaign and sandbox. The three available difficulties alter the starting amount of money (check out our guide on how to make money), ease with which resources are found, amount refunded on destroying buildings and cost of building relocation, providing fairly different experiences, especially when it comes to the value of building space. Not only that, but you can tweak individual elements with a fairly in-depth custom difficulty tool, as well. 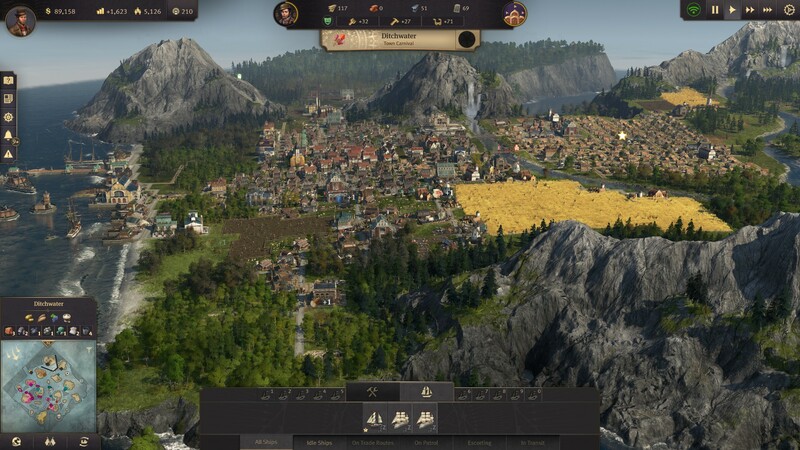 Our system is an Intel i7-8700k, 16GB RAM, Nvidia GTX 1070 4GB and Windows 10 64-Bit and it struggled maintaining a stable framerate on the highest settings in Anno 1800. 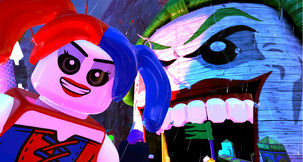 Generally speaking, the framerate would fluctuate between 40 and 60 FPS. When zooming backwards on an expansive city, or looking at one from ground level, the framerate could dip as low as 10 FPS. Anno 1800 is, at the moment, a bit of a resource hog. 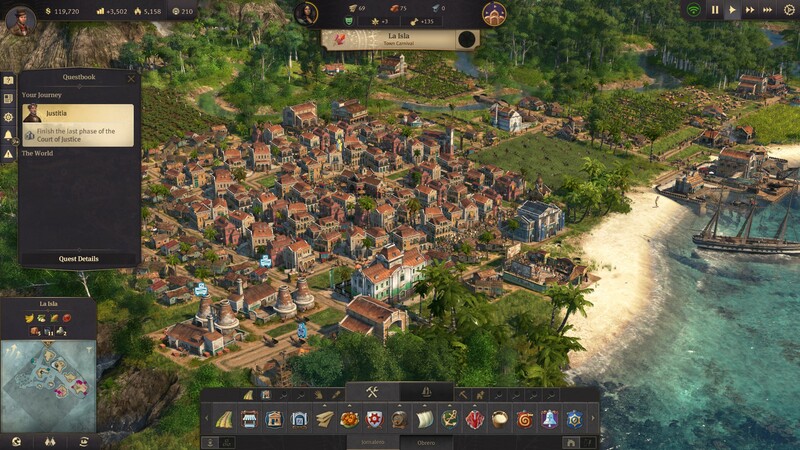 However, Anno 1800 also offers quite a visual feast that only gets more detailed and eye-catching as your cities stretch over entire islands. Smoke covers the industrial district, while entire fields of crops gently react to wind blowing. Residential neighbourhoods bustle with activity and, during festivals or riots, massive crowds make the streets their own. As your city welcomes inventors, that’s also reflected in the models and types of carriages that roam the streets. There is some visible pop-in and models that suddenly vanish, but it’s nothing that hampers the visual spectacle. 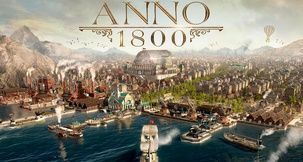 Increasingly complex yet approachable, Anno 1800 is an excellent entry in the long-running city building series that both challenges but also leaves space to admire one’s handiwork. 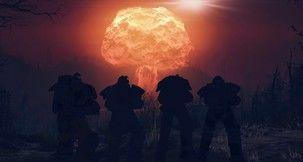 Reaching new population tiers and discovering the challenges that lay ahead.